E.W. Grove not only shaped the city of Asheville, he set in motion his dream that Asheville would become the alluring destination it is today. But who was the man behind the legendary name? During the nineteenth century malaria struck the South with a vengeance. There was no cure and it became one of the leading causes of death. Grove’s youngest daughter, Irma, and his wife, Mary, were both victims of the disease. Grove’s grief turned into determination to find a remedy for malaria. It was known that quinine would reduce the fevers and chills caused by malaria, though it would never be a cure. The issue with quinine was that it was literally hard to swallow. “I had a little drug business in Paris, Tennessee, just barely making a living, when I got up a real invention, tasteless quinine. As a poor man and a poor boy, I conceived the idea that whoever could produce a tasteless chill tonic, his fortune was made.” — E.W. Grove. In 1889 Grove’s Tasteless Chill Tonic was born and by 1890 more bottles were sold than Coca-Cola. 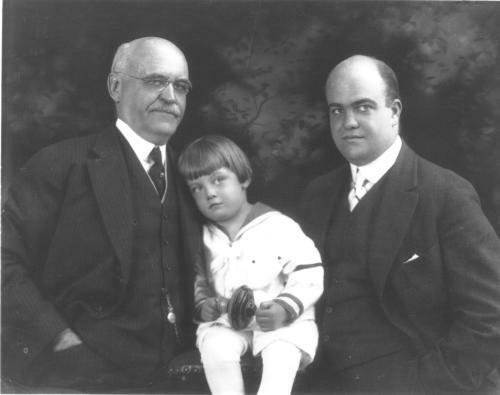 Grove moved his business to St. Louis where he could more easily ship his product throughout the US. The smog and smoke of the factory district caused Grove health problems. The most pressing of these was chronic hiccups. With his doctors urgings; in 1897 Grove, his second wife Gertrude and their two children spent their summers in Asheville amidst the clean mountain air. 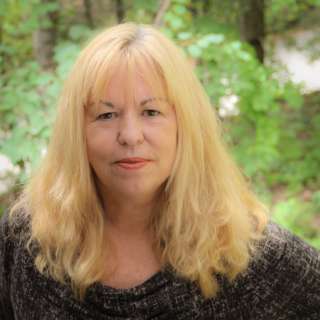 Grove turned his attention to real estate and by 1907 had amassed 1,000 acres of land. He created charming residential neighborhoods in North Asheville. 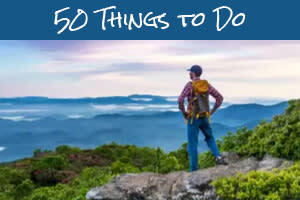 Today they remain intact and all are listed on the National Register of Historic Places. About this time Grove and son-in-law, Fred Seely, were discussing the idea of building a world-class luxury resort. 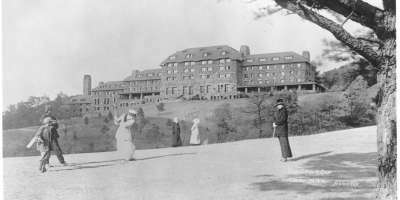 Grove threatened to stop plans for the hotel if Asheville was to be promoted as the center for tuberculosis recovery. Those plans ceased and Grove and Seely went ahead with the grand plans to build The Grove Park Inn. On July 9, 1912 Gertrude Grove lifted the first shovel of dirt during the ground breaking ceremony. Overseeing the construction, Seely announced his ambitious plan to have the hotel open one year later. 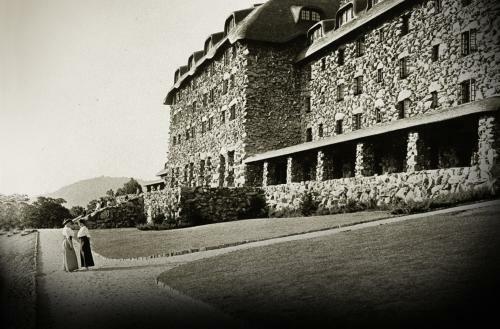 The six-story, Arts & Crafts hotel, built from the huge boulders on Sunset Mountain, opened 368 days later. 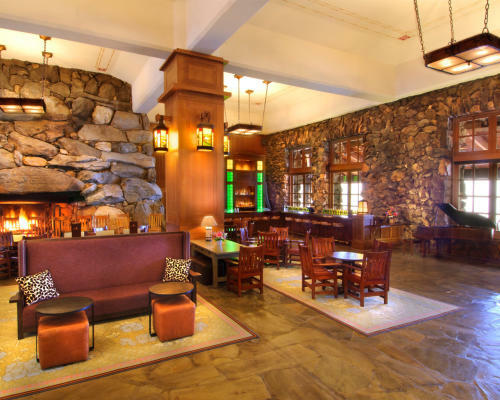 Since then, The Grove Park Inn has had periods of uncertain survival but over 100 years later, and a recent $25 million dollar renovation it is clear that this iconic Southern jewel will continue to thrive. In the early 1920’s Grove turned his attention to downtown Asheville. He conceived the idea of an Arcade that would be “the most elegant building in America”—and a new kind of retail center. Today The Grove Arcade is the vibrant image Grove imagined, with lively restaurants and boutiques. One of the best ways to explore the living history of Grove is to take the history tour on Gray Line Trolley Tours. 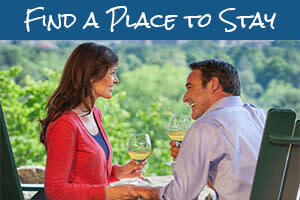 It includes a stop at Grove Park Inn. Time it with their history tour (Wednesday through Friday at 10 a.m./Saturday at 9 a.m. and 10:30 a.m.). Sign up at the Concierge Desk upon arrival (tours are capped at 20 people). There is $10 fee (plus tax) for non-guests. If you are planning on visiting during The Gingerbread House display – avoid the traffic and cost of parking by taking the Gray Line Trolley (the only trolley that stops at Grove Park Inn). Non-hotel guests can visit Sunday (after 3 p.m.) through Thursday during the display. Parking is based on availability. Every September marks the Grove Park Neighborhood Tour of Homes. A trolley tour includes historic homes, as well as Grove Park Inn.